Apartment in the same residence (same owner of house 9040):privat parking at the entrance of the residence,2 minutes car from varenna center where clients can easily park inside the new pib public parking in front of the Villa Monastero.2 tv sat, one in the bedroom another one in the livingroom.Only heating on exytra cost on consumption basis. Marilena is a wonderful host and thought of everything to make our stay pleasant. Our apartment was clean, comfortable, and homey -- with absolutely spectacular views!! And there is a private beach within walking distance. We loved our stay and the surrounding area and can't wait to return! We highly recommend this apartment! 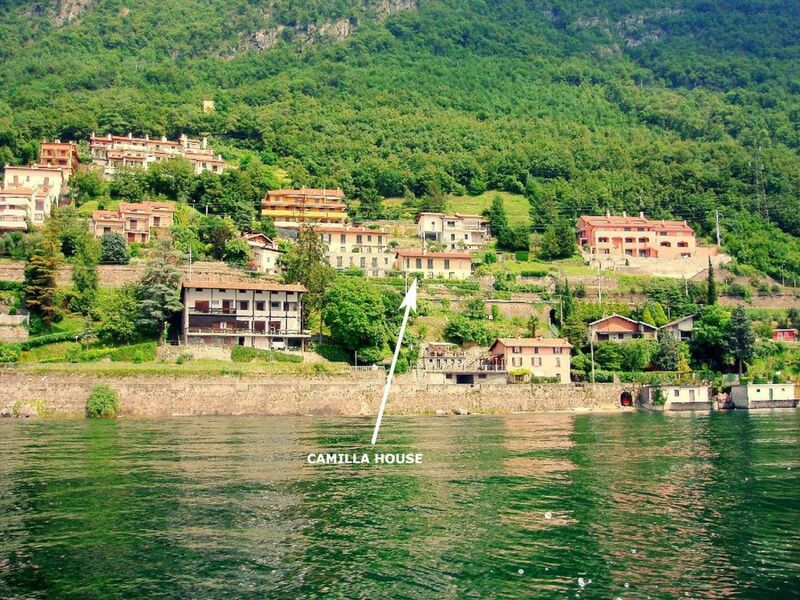 Camilla house offered spectacular views of lake como. Marilena was a most accomodating hostess. Its a great place to visit Varenna, but you need a car, or a taxi to go to the center. The place is well equipped with everything you would need. More importantly, the owner, Marilenna, was wonderful. She met us at the train station with a car and help us with luggage, when we checked out. Marilena was an amazing host in setting up the apartment as well as telling us all the tips and tricks we needed to know. The apartment was perfect and the private parking spot in Varenna is worth it’s weight in gold. There was a walkway down to the lake which we used regularly and never saw anyone else so it was like our own private beach. The apartment is out of the hustle and bustle of the touristy spots so the area is nice and quiet. The train does run just below you but this wasn’t a big deal for us. We got used to it within the first day. All in all a great spot and would go back in a heartbeat! Gorgeous view of Lake Como. Thank you, Marilena, for taking such good care of us in Varenna. You treated us like good friends. We loved our stay at the Camilla House. The apartment was nice, plenty of room for us to sleep comfortably, and a nice warm shower. Thank you for helping us with transportation and a cell phone. You're the best. In Varenna there are Villa Monastero and Villa Cipressi where internationals conferences are held with their wonderful big gardens. (Text automatically translated) A Fiumelatte you will find bars, restaurants and shops, as well as in the nearby Varenna. In Varenna, in addition, you will find the Villa Monastero and Villa Cypresses, the headquarters of many international conferences. Tariffe scontate in relazione alla durata, Tariffe in funzione del numero di persone, Richiesto supplemento per il riscaldamento in base alla stagione, Consegna delle chiavi da parte del Proprietario presente in loco.Per soggiorni inferiori ai 3 giorni contattare il propietario per il prezzo giornaliero .tourism tax euro 1.5 a day each for the first 7 days not for children under 6 years old.